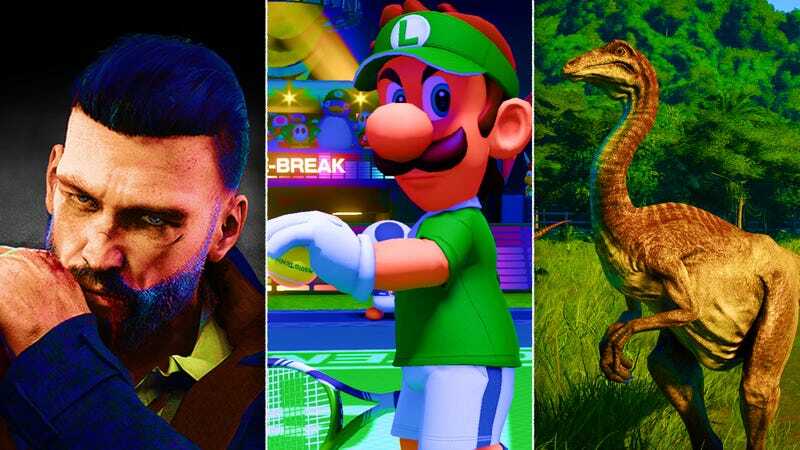 Vampyr (Image: Dontnod Entertainment), Mario Tennis Aces (Image: Nintendo), and Jurassic World Evolution (Image: Frontier Developments). Graphic: Allison Corr. With new games of all sizes filling real and digital shelves every week, it can be near impossible for anyone to keep up. So during the first week of every month, we’ll be here to help with a curated selection of new, notable games we think should be on everyone’s radar for the month ahead.